Engineering company Larsen and Toubro Ltd, or L&T, has been lobbying with the government to make it mandatory for the bidders to be incorporated in India, with at least 51% equity held by a domestic company, as reported by Mint on 5 September. “I believe that 51% equity in the joint venture should be held by the Indian partner, otherwise it will only encourage imports in the country as opposed to actual manufacturing here," A.M. Naik, chairman, L&T, told Mint on Monday. However, the Central Electricity Authority, or CEA, India’s apex power sector planning body, is opposed to the inclusion of the 51% equity clause. Qualification criteria: The Rihand power unit. The government is planning to place orders for ‘super critical technology’ power generation equipment for state-owned firms NTPC Ltd and Damodar Valley Corp.
Super critical equipment helps in higher plant efficiencies and economies of scale and is also environment-friendly. 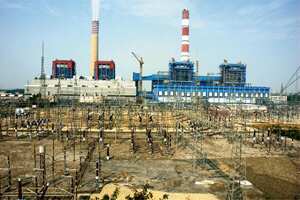 The government initially wanted to place orders for nine such units of 660MW, each with a total value of around Rs14,850 crore, for state-owned firms NTPC Ltd and Damodar Valley Corp. However, this number is likely to go up to 11 units. If L&T is successful in its lobbying, it would make power generation equipment joint ventures such as Toshiba Corp. of Japan and JSW Group; AnsaldoCaldaie of Italy and GB Engineering of India ineligible. L&T and Mitsubishi Heavy Industries Ltd (MHI) of Japan, also formed a joint venture to manufacture such equipment, but unlike Toshiba and AnsaldoCaldaie, which hold the majority stake in their ventures, L&T holds the majority stake in its venture with MHI. The order will be placed through international bidding, with a stipulation that the winner set up manufacturing facilities in the country. The order is expected to be placed by the end of this fiscal year. Under the bid guidelines that are being worked out, the lowest bidder will be given an order for five units; if state-owned power generation equipment maker Bharat Heavy Electricals Ltd, or Bhel, is the lowest bidder, it gets the order for five units. If Bhel is not the lowest bidder, the government will still award it the order for the remaining four units, provided it agrees to match the lowest bid. If Bhel does not match the bid, this option will be given to others in the order of their bid ranking. Chaturvedi recently headed a government panel, which, in early August, suggested ways to reduce the government’s oil subsidy bill that included upward monthly revisions of fuel prices. The recommendations have not found favour either with the oil ministry or political parties. The other members of the GoM are power minister Sushil Kumar Shinde and heavy industries and public enterprises minister Santosh Mohan Deb.